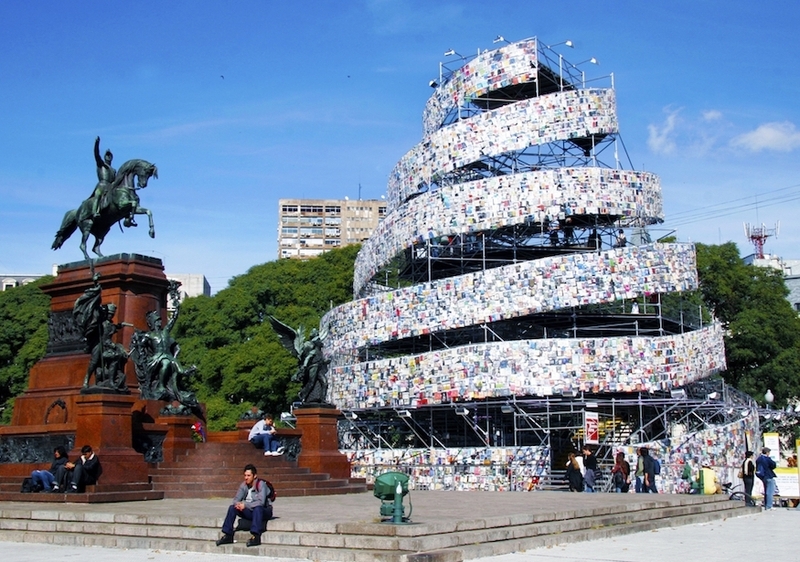 Tower of babel.Buenos aires, by marta minujin. 30,000 books in languages from around the world. ...label, babel, blabble, blah blah blah? The UN defines sustainability as meeting the needs of the present without compromising the ability of future generations to meet their own needs. I prefer Paul Hawken's definition: Sustainability means stabilizing the currently disruptive relationship between earth’s two most complex systems—human culture and the living world. Based on that definition, "sustainable" translates into using the earth's resources and affecting our ecosystems in ways that allow them to regenerate. Regenerative economies, agriculture and design go beyond sustainability towards revitalization. A sick organism, ecosystem, or planet can subsist but not flourish. I seek out design, materials, technologies and cultural shifts that go beyond sustainability toward regenerating life and feeding its support systems—from the personal scale to the planetary.